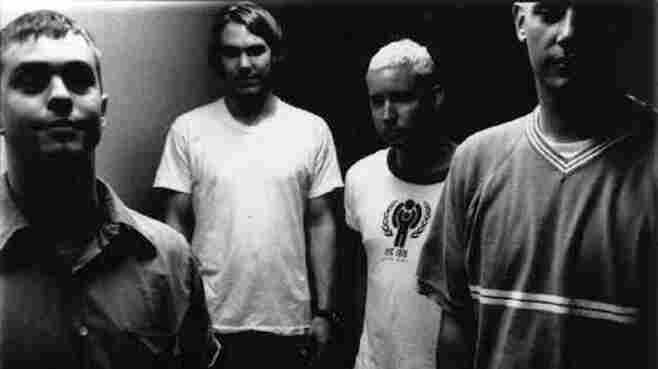 StartSerenading... Again: Mineral To Reunite : All Songs Considered It's a helluva time to be a '90s emo kid. Teased over social media for weeks, the band behind the influential albums The Power of Failing and EndSerenading will tour this September. New songs by The Jazz June and Sunny Day Real Estate, tours from American Football and Texas Is the Reason — it's a helluva time to be a '90s emo kid. Teased with a new Twitter account and rehearsal studio shots on Instagram, Mineral has caught reunion fever and will be touring select cities in September, including a stop at the mighty emo/pop-punk festival simply named Fest in Gainsville, Fla. These will be the band's first shows in 17 years. In its short existence from 1994-1998, Mineral produced two albums near and dear to the endlessly earnest. The Power of Failing sealed the deal on the quiet-loud-quiet dynamic that'd permeate emo years following. "Gloria" and "If I Could" were raucous and joyous pop songs, guitars squealing over Chris Simpson's wistful vocals. The appropriately-titled swansong, EndSerenading, was a somber, slower record that took its cues from Codeine. After Mineral broke up, members went onto form other bands like The Gloria Record and Pop Unknown, both with equally short discographies worth diving back into. Now if you'll excuse me, I'll be in my room yelling, "Cause I just want to be / Something more than the mud in your eyes / I want to be the clay in your hands." You know, for practice.